Six months of hard training is in the bank. Tomorrow morning, I will lug a pair of 120-liter gear bags to the airport and get on the plane for Kathmandu. Destination: Mt. Everest, 29,029 feet/8,848 meters. The summit of the highest mountain in the world. No matter what happens, three things are certain: I’ve given it everything I’ve got to prepare physically and mentally. I’m in good hands with the guides at Alpine Ascents International. 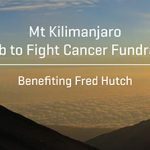 And I’m eternally grateful for all of your support for the Everest Climb to Fight Cancer campaign at Fred Hutch. The fundraising total for cancer research stands at $329,110. What can you expect between now and when I get home to the U.S. on June 2? Six episodes of The Long Run podcast. They will air on schedule every two weeks through June 6. Vicki Sato is the guest on the next show. Watch for that one Mar. 28. Smart industry coverage. TR contributing writers Kyle Serikawa and Timothy Hay, formerly of The Wall Street Journal, will publish pieces. A pause on business correspondence. When on the mountain, I will be focused on the mountain. If you need to reach me about anything business-related, we’ll talk in June. Afterward, photos from the top of the world. I made sure my point-and-shoot digital zoom camera can be operated with bulky mittens. I will be carrying a notebook and pen (rated for -30 Fahrenheit temperatures). I’ll be thinking about articles, slideshows or talks that may come after the climb. 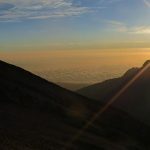 For more background on the Climb to Fight Cancer and the Everest expedition, check the links below. Thank you to the folks at Fred Hutch, and a few special guests, for making this send-off video. I’ve really enjoyed working with you on this.